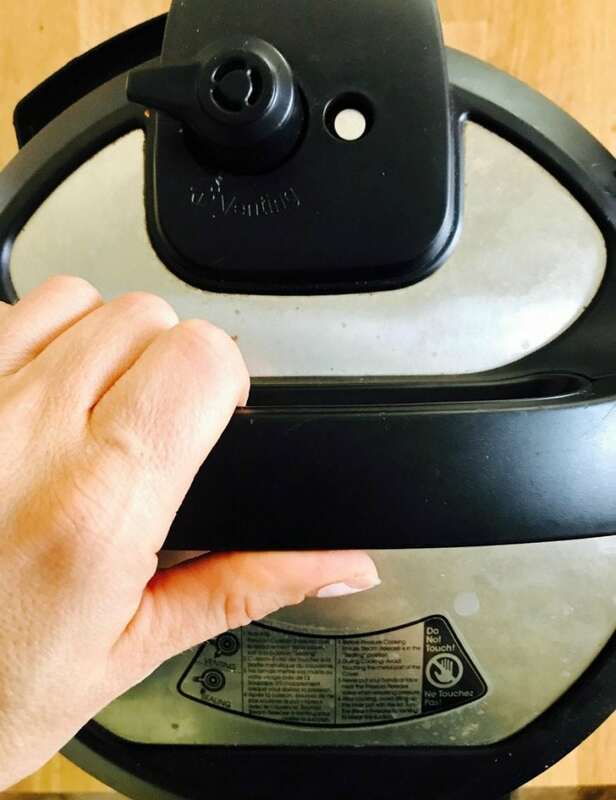 Confession #123 – I feel guilty that I am posting yet another Instant Pot recipe because I know there are a bunch of you who are still not feeling it yet…so I will add some crock pot directions, but only because I heart you. My crock pot, on the other hand, hasn’t gotten much love from me these days. 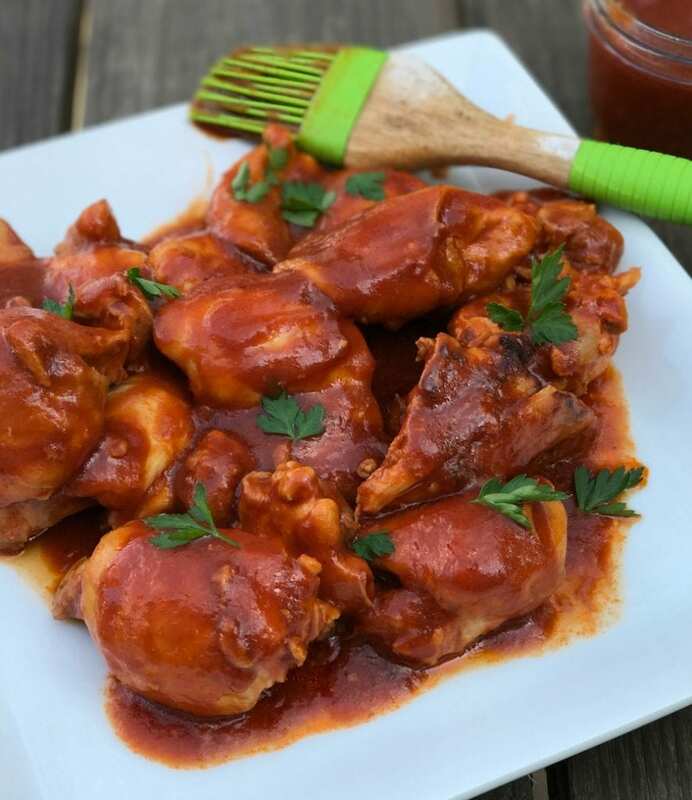 I mean…the Instant Pot cooked these unbelievably delicious Maple BBQ Chicken Thighs to perfection with ten minutes of cook time. Ten minutes! They were so good, my three year old was clapping between bites. It may have been the cutest thing I’ve ever seen. And besides being incredibly tender, these chicken thighs are so darn tasty! Just the right amount of tang and maple sweetness from the homemade BBQ sauce- the same one from my Pulled Pork. The awesome part is that instead of cooking the sauce on the stove ahead of time (and dirtying more dishes) I mixed the ingredients and threw the sauce right into the pot with the chicken. I opted not to sear the thighs first, but you totally could. I just didn’t think it was worth the trouble this time. I just sealed the lid and set it on manual for ten minutes. I also thought quick release was fine, but you could let it go natural if that’s your thing – thighs are super forgiving in the Instant Pot , so it’s all good. After the ten minutes are up, the sauce needs a little thickening, so remove your chicken using a slotted spoon and set the IP back to saute. As the sauce simmers, if you want it a little thicker, just stir in some tapioca, cornstarch or thickener of your choice. I found when I doubled the recipe, I needed to do this, but with one batch it was perfect after a couple mins of simmering. And that’s it! Enjoy delicious BBQ year round thanks to the Instant Pot! For Slow Cooker Instructions, see the recipe card! 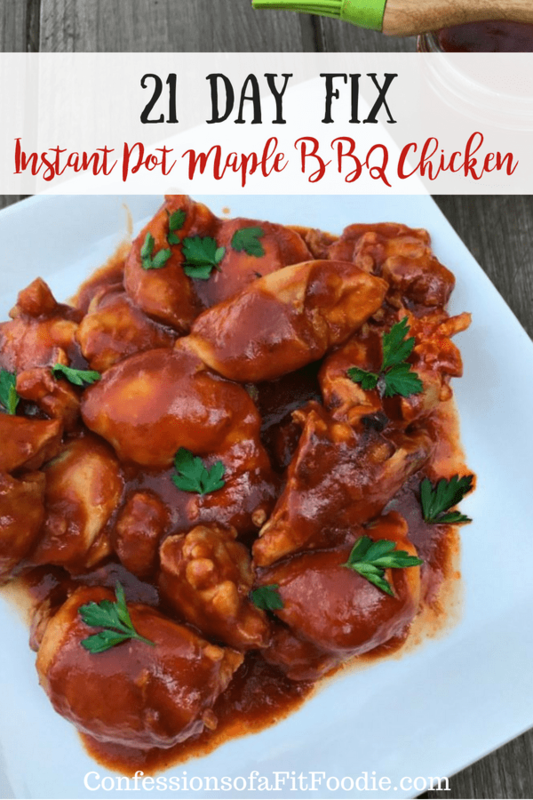 This 21 Day Fix Instant Pot Maple BBQ Chicken is gluten-free, dairy-free, and so amazingly easy to make in your Instant Pot! It was a hit with my husband and the kids. Enjoy BBQ all year long with your Instant Pot. Place chicken thighs in Instant Pot. Mix together the remaining ingredients (besides thickener). Pour sauce over chicken. Set to manual for 10 minutes. After cook time, switch to quick release. Open the lid carefully once it is unlocked. Remove chicken thighs with slotted spoon and set aside. 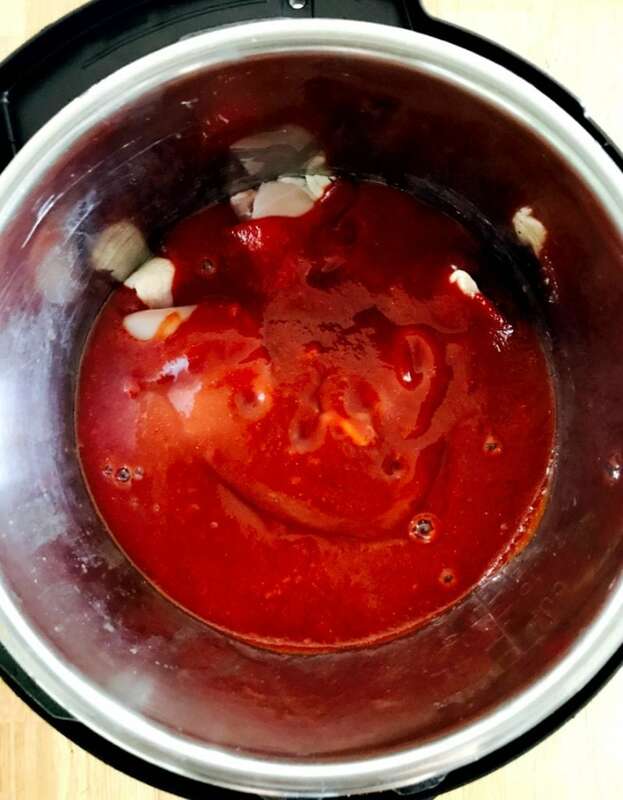 To thicken the BBQ sauce, set Instant Pot to saute. Stir as it simmers. If you need to thicken it more, add in your choice of thickener, one tsp at a time until desired thickness. Taste and adjust seasonings and add a touch more maple syrup for a sweeter sauce. 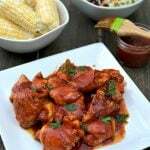 Cover chicken with sauce and enjoy! 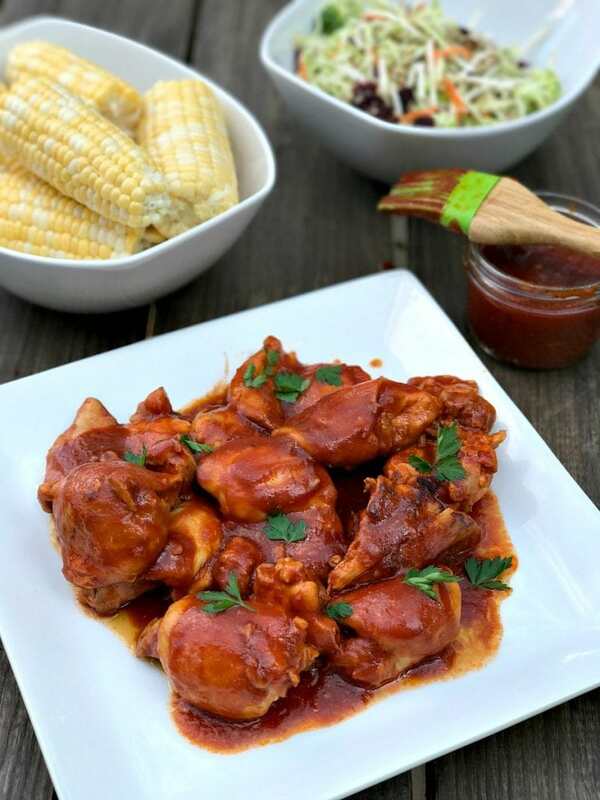 For the slow cooker: Place thighs and ingredients for BBQ sauce in crock pot. Cook on low for 4 hours. After cook time is through, simmer sauce in a small saucepan over medium low heat until desired thickness. Enjoy! 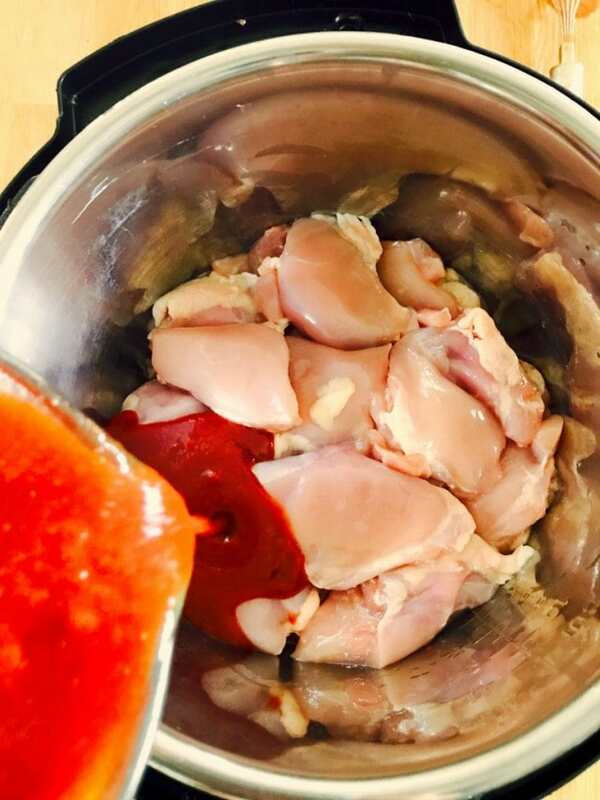 1 RED, 1 tsp – I count it this way bc thighs have more fat than chicken breasts. Hi there!! I think I found dinner for thursday night! One question, can I use chicken breast? Will it change the cook time? You can…I usually save breasts for soups because they tend to get dry, but you can try – they might work well because of the sauce! I would do 12 minutes. Could I use frozen chicken breast in the Instant Pot? Yes! I’m not the biggest fan of chicken breasts in the IP, but other people use them just fine! what side dishes would you recommend putting with this recipe? I love it with my corn and bean salad (on the blog), some kind of veggie slaw, and baked sweet potatoes or sweet potato fries! Yum! how do you measure this out? Would you measure it in the red container of the portion fix containers? I don’t know that I would call this BBQ (sorry, just being honest for anyone who might review the comments). BUT it was absolutely delicious!! I basically took the chicken out of the pot to let the sauce thicken up and I’m just picking at the chicken dipping it in the sauce. It hasn’t even made it to the table yet. 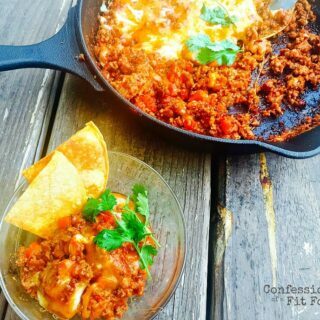 I’ve been making 1-2 recipes from your website weekly and they’ve all been keepers. 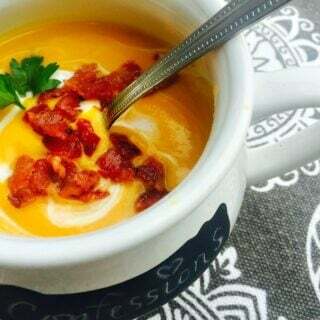 Thank you for great recipes! I appreciate your feedback and just so happy that you liked it!! I do the same thing with the sauce…sooooo yummy!! I thought I had enough tomato paste but I was 1/2 cup short as I was doubling the recipe so I added a can of Rotel. I was super yummy but not BBQ enough for my Texas boys in this house. So while I was thickening up the sause I added 1 TBS of Worcestershire sauce and 1 TBS liquid smoke per recioe. It was totally amazing and very BBQ!! Thanks so much!!! I made this for my family tonight. I’m not following 21 day fix but healthy no processed Foods. This was a good fit. Everyone liked it even super picky Teen 2. This one is a keeper!! I’m new to IP cooking! This is going to be my first “meal” tonight – yay! When you’re cooking with IP, do you use frozen meat or thaw it out first? I’ve heard both ways is an option and may just need to adjust cooking times if frozen. Yup – you are right! You can do either! And chicken thighs are very forgiving – they won’t overcook on you. So if frozen, just a couple of minutes and you will be all set! Does it have to be boneless thighs? Can i use Bone-in thighs? I find that chicken breasts come out rubbery in the IP. Do chicken thighs have a better texture? Crock pot how long should I cook first ? If frozen how long ? Hi! 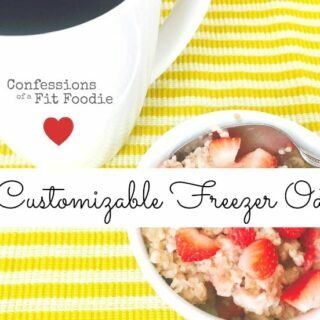 You can do this in 4-6 hours on low, but frozen in the crock pot isn’t recommended. Do you think the leftovers would be freezer-friendly? Can I substitute honey for maple syrup? 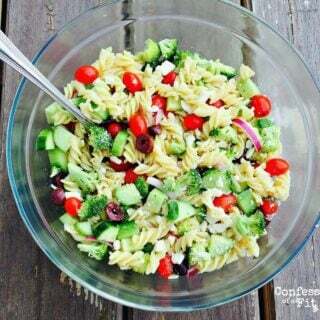 I do and it’s SO GOOD! Finally made this last night…and the leftovers tonight were equally as good!! ?????? Shared it with a bunch of friends, too. I am allergic to soy sauce (soy anything), and coconut is not always friendly to me. Is there something else that could be substituted for the coconut aminos/soy sauce, or would it kill the recipe to leave it out? Can I cook this for 8 hours on low in the slow cooker while at work? I want to pour this sauce on everything! I made it per the recipe only adding a little extra garlic powder (because that’s just what I do with every recipe LOL). The sauce was so tasty I will be making it with pork next time to try. YAY! This makes me SO happy! Thank you for taking the time to rate and review!